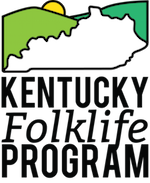 Next Saturday, KFP Director Brent Björkman will be taking a Kentucky tradition on the road! On April 29th, Brent will be visiting Missouri friends to share a talk about Kentucky’s white oak basket tradition. If you’re in the area, make sure to check it out! For more info, check out the Facebook Event. Next Next post: We’re live from Kentucky Crafted!